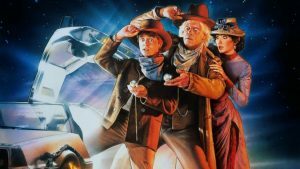 We’ve seen the ‘Back to the Future’ pattern in the history of mobile phones. They began very large, were gradually made as small as technology would allow, and now we need bigger pockets. And, Great Scott! we can see a similar pattern in voice search as a result of the evolving use of smart-home devices. Smart speakers such as Amazon Alexa and Google Home have caused a giant explosion of interest in voice search. According to Amazon’s 2017 Holiday Season Data, the Echo Dot was the #1 top-selling product across all categories on Amazon. 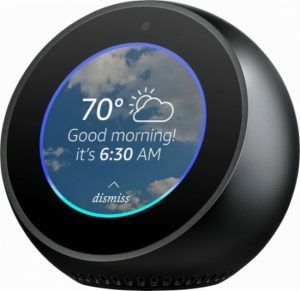 If you don’t have one yourself, you probably know someone who has a smart speaker. And who hasn’t asked Alexa to add condoms to their friend’s shopping list when they’re out of the room? Oh ok, it’s just me. *but it turns out sometimes we really do. While these voice assistants are currently being asked to help with playing music or checking the latest news and weather, according to an OC&C Strategy Consultants Study, voice shopping is expected to jump to $40 billion in 2022, up from $2 billion in February 2018. However, the products generally purchased are household re-orders or groceries. And with a predicted surge in voice shopping, comes the need for Alexa and friends to show us results, rather than just tell us about them. 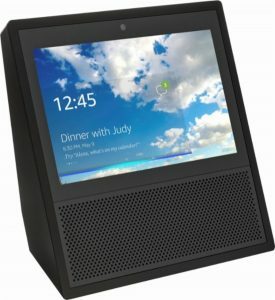 The Amazon Echo Show and Echo Spot are already here, and Google is set to make their equivalent products available in the summer. Shoppers can still use voice input, but for shopping most still need to see the results on a screen. Alexa could try to describe that tie-front plunge floral maxi dress, but you won’t be making a purchase without seeing it! So we have come full circle; the future of voice search is bringing us back to seeing the results on a screen. eCommerce customers will soon be voice search experts and will expect to see relevant results displayed on their smart-home devices. 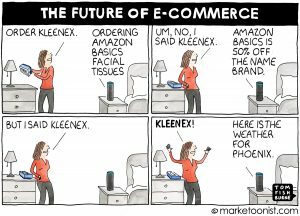 And they’ll expect the same experience when they use voice search to shop on their mobiles or desktops. Surprisingly, the real challenge is NOT about being able to speak your search, it’s about the power of the AI search engine to understand. Is your eCommerce site optimized to understand how shoppers speak to you about what they’re looking for? Do you use natural language search technology that adapts to your customers (not the other way around)?